United States-based direct selling company Amway is in trouble as a lower court in Uttar Pradesh has pronounced that the company has been making false and misleading health claims for its vitamin supplement Nutrilite Daily and violating India's food law. Besides, the ruling could cast a shadow on the multinational company's flagship brand Nutrilite, under which it sells a range of products including vitamin supplements and protein powder. After hearing a complaint filed by the food regulator, Food Safety and Standards Authority of India or FSSAI, the court said in a recent order that Amway has been claiming that its product has exclusive natural extracts such as 'phytofactors plant compounds from Nutrilite's exclusive plant concentrates', without citing any scientific evidence to back it. The court also slapped a penalty of Rs 10 lakh on the company. Amway said that it has already challenged the order in Food Safety Appellate Tribunal at Meerut and got a stay order. The Greater Noida court also found Amway's claim - that its special coating called 'Nutrilite exclusive nutria lock' makes it easier to swallow tablets - misleading and without proof, and said that it fails to understand how the company's coating is exclusive and different from those used by several other drug making companies for the same purpose. The judge also took note of the fact that FSSAI's product approval division has rejected applications for several other products under Nutrilite series such as Iron-Folic, Natural 'B' and Bio C, among others. The food regulator argued before the court that it has become a trend for many drug-making companies to project their medicinal products as 'food' to escape the tighter regulations under Drug and Cosmetics Act, and expensive and time consuming clinical trials mandated under it. Leading brand consultants said the adverse impact of one subbrand has a negative rub-off on other sub-brands under the umbrella brand. "An adverse event like this absolutely has the potential to make a dent in the brand image of the entire Nutrilite range of products, albeit not to the extent of damage faced by the brand of the product in question, Nutrilite Daily in this case," said Harish Bijoor, CEO of Harish Bijoor Consults Inc.
Amway said it doesn't think that the ruling will hit the brand image of Nutrilite in India. Claiming that Nutrilite is the world's No. 1 selling vitamins and dietary supplements brand, he added that all Nutrilite products globally comply with World Health Organisation and International guidelines like CODEX for vitamin and mineral content. "The Nutrilite range has been manufactured and sold in India, after getting requisite licences under the food law, for more than a decade. 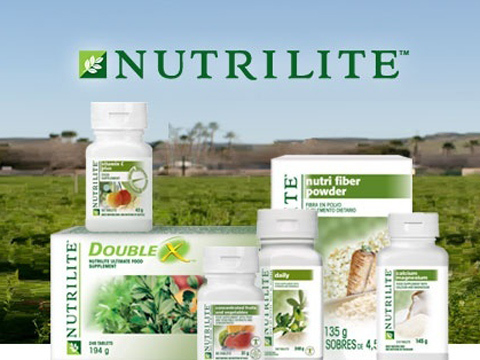 Nutrilite Daily was launched in India in 2002 and we have lakhs of satisfied customers here," he said. According to media reports published in March, of the over Rs 2,000 crore annual revenue that Amway clocks in India, the Nutrilite range of products accounts for 55%, beauty products portfolio contribute another 30% while the balance comes from the company's homecare range.